I've never had to wait when I go for my appointments, and Dr. Baek is friendly, professional, skilled, quick. They're also great at communicating and giving appointment reminders. Dr. Baek made me feel comfortable immediately. She took her time in explaining everything to me. She's knowledgeable and kind. I will be back to see her exclusively. 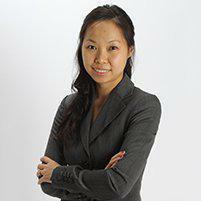 Dr. Baek and her staff are friendly, courteous, professional, and always willing to answer questions. Top-quality customer service and dental care. Nice people, Friendly environment, good dentist. First time in and she was great. Told me what needed to be done, and kept it simple. I called Dr. Baek's office on a Saturday evening desperate to find someone who could help with my toothache. The office was closed when I call so I left a voicemail. However, hours later - despite the fact that their office was closed, I got a call back from Dr. Baek saying they could see me the very next morning. When I went to my appointment, Dr. Baek was kind, attentive and reassuring. So thankful for this place and the compassionate care they provide! She was awesome. Explained everything so thoroughly as she was working and genui ely concerned about the patient. She was so friendly and the iffice staff too! Thanks for an awesome visit! Dr Baek is so patient and knowledgeable. Answers all my questions and any appointment that is pain free makes me very happy.